10 Fun Star Wars Gift Ideas! The holidays are right around the corner, and I don’t know about you, but some people are just super hard to shop for. Everyone has one, that one person who you just are stumped on what to get them for Christmas. Gift cards are great, but they just seem so generic and not very fun. This week I put together a list of some super fun Star Wars gift ideas. 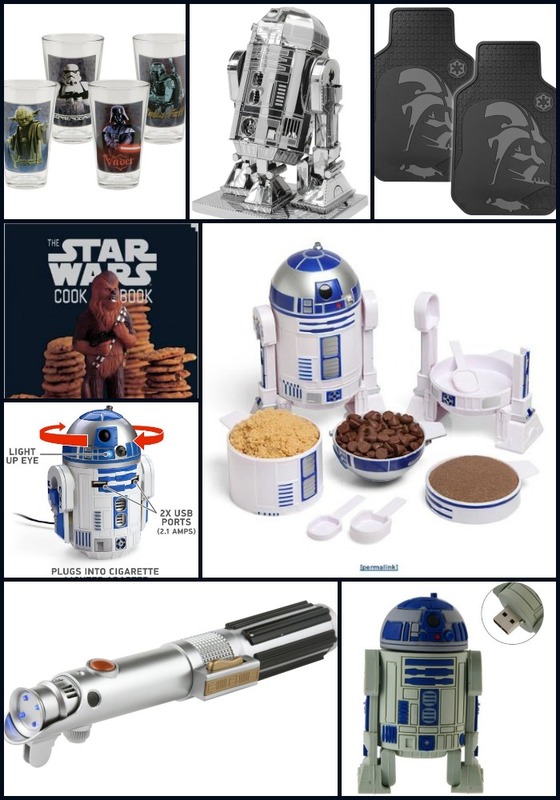 There are many items on this list that I would love to get for a gift (like the super cool R2D2 measuring cup set), so there is a little of everything for everyone! Still stumped on what to get? If you have a geek lover in your life, subscription boxes are always a great gift that will appear well after Christmas! Some of my favorite nerdy boxes are Nerd Block, LootCrate and 1UpBox. They all range in prices, and the Nerd Block even has special boxes for kids too! Want to see what came in my boxes for the month of November? Check them out below!